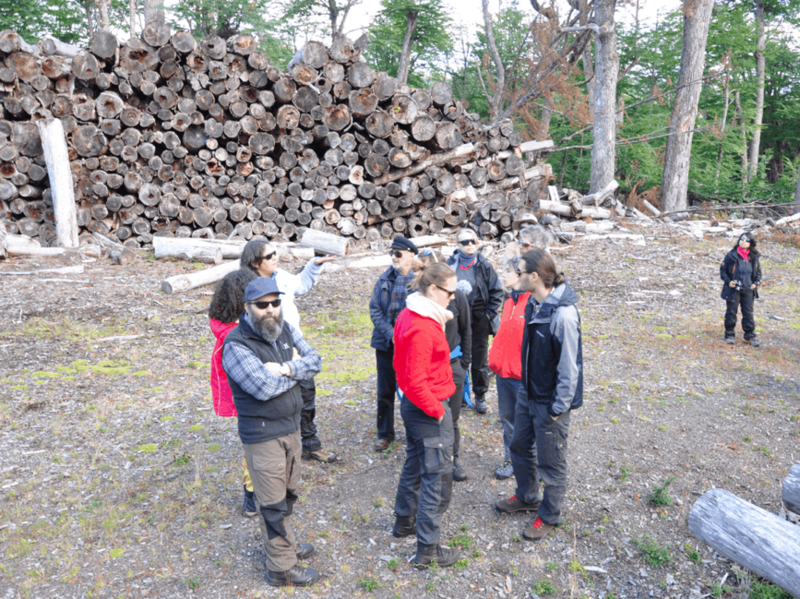 Invited by the curator Camila Marambio, 18 artists and scientists from Chile, Norway, US and Canada met in Tierra del Fuego for 10 days to discuss the “use” of bringing artists and social scientists into the research program at Karukinka Natural Park, a Wildlife Conservation Society (WCS) unit. Participants included Norwegian artists working in the Arctic circle, a natural resource economist, Chilean and US eco activists, WCS ecologists and park rangers, local land owners, artists and anthropologists. Guided by WCS Karukinka ecologists, we toured sites across the Isla Grande and shared knowledge, research, and ideas about how a collaborative research residency could work. Recognized the need to deal with 3 urgent matters of concern, each requiring long-term participant commitment (3 years). Established focus on two WCS Karukinka research areas (invasive species & coastal management) and added the issue of post-human geography. Defined open-ended, collaborative, multidisciplinary, creative research methodologies. Karukinka is point of origin and nests Ensayos, but as a program Ensayos is a nomadic residency.